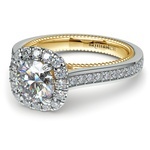 A single row of halo diamonds are set in this white gold engagement ring setting, with an accented yellow gold center. 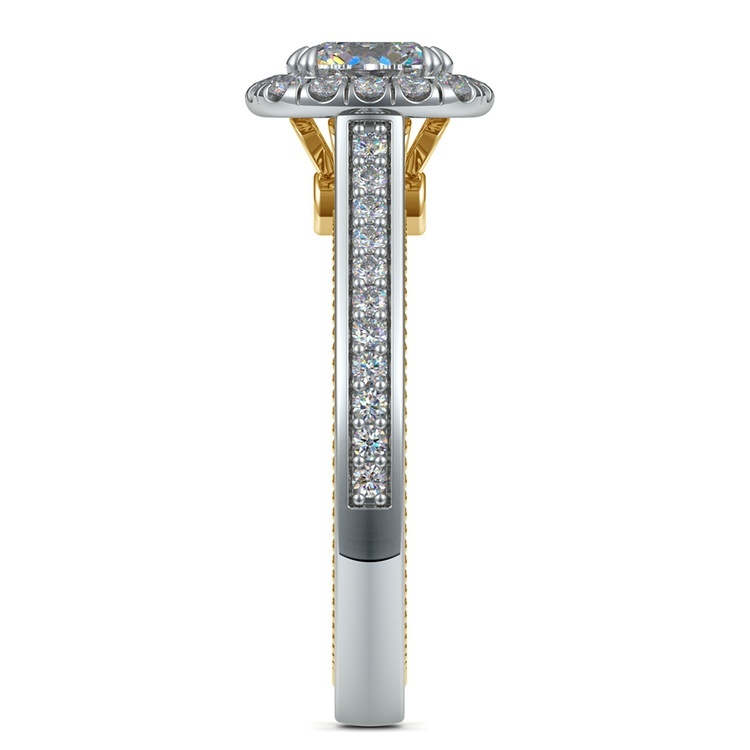 Approximately 3/5 carat total diamond weight and proudly made in the USA. 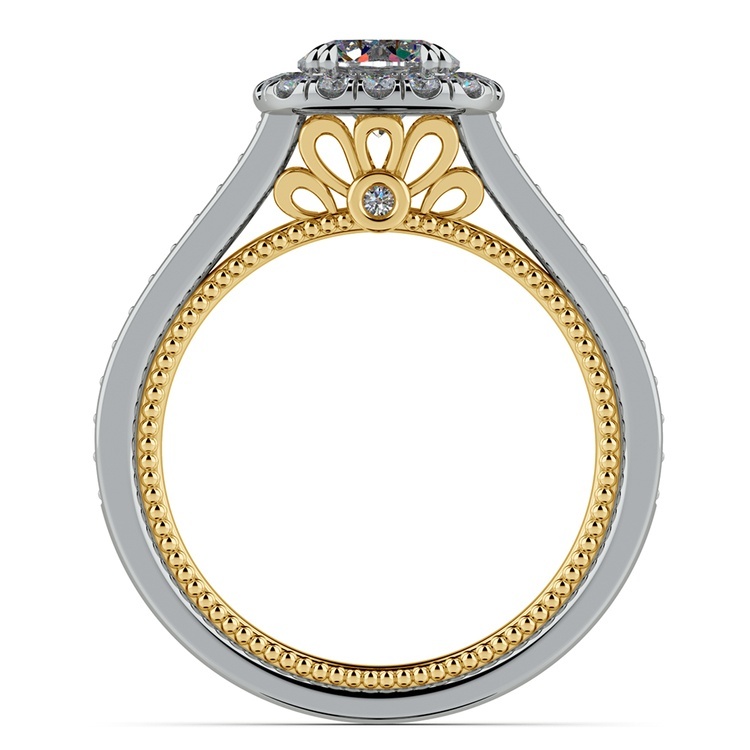 Our skilled master jewelers marry the latest technology with age-old techniques to craft every item in our in-house workshop. 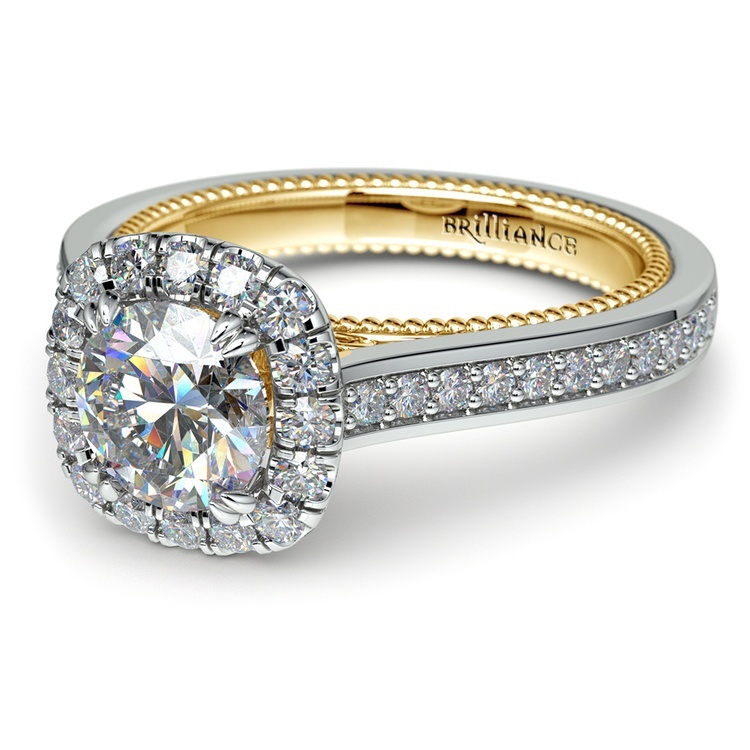 Every product from Brilliance includes a gemological appraisal, a lifetime warranty & our signature packaging. 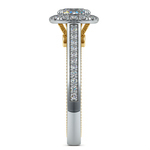 We promise that every product comes with free shipping, easy returns & a low price guarantee. Every order. Every time. We're a fiercely independent company that takes every correspondence with our customers to heart. If you have questions/feedback, please let us know! 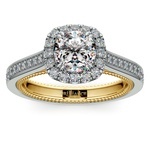 You have already selected a ring setting. Would you like to continue with the new setting? 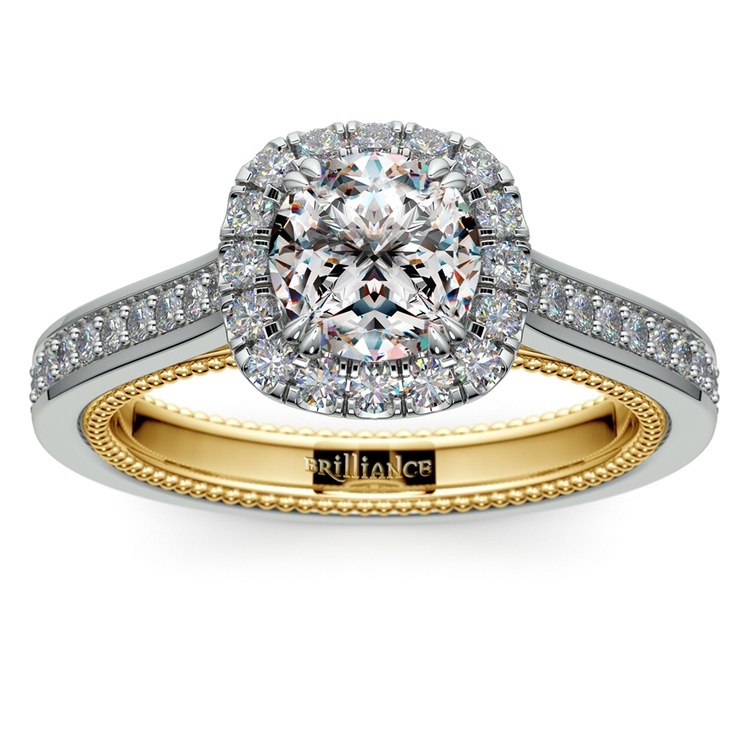 This ring needs to be customized to fit your selected diamond. 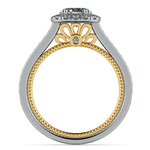 A $100 Customization Fee will be added to your ring total.